Great Places for Shore Based Whale Watching! 1. 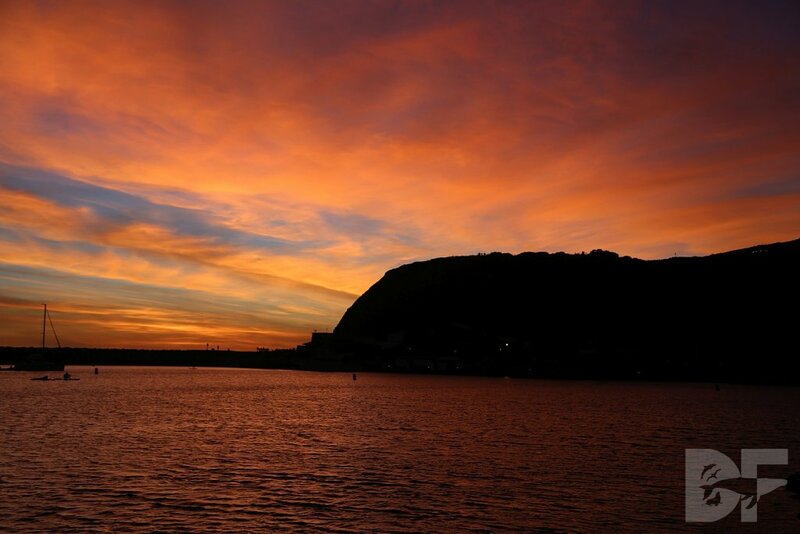 Dana Point Nature Interpretive Center & State Marine Conservation Area. Dana Point, CA. With plenty of free parking (it's not typically too crowded) and a well managed series of trails, the top of the point is a great place to observe Gray Whales, though you might alter your vantage points depending on whether the migration is primarily northbound or southbound. 2. Point Vicente Lighthouse and Interpretive Center. San Pedro, CA. Home of the ACS Los Angeles Gray Whale Census, the Interpretive Center is a perfect vantage point for not only watching Gray Whales, but the entire myriad of marine mammal species that pass by the area. The Interpretive Center boasts some educational displays for those taking a break, and the scenery is stunning when the weather is right. 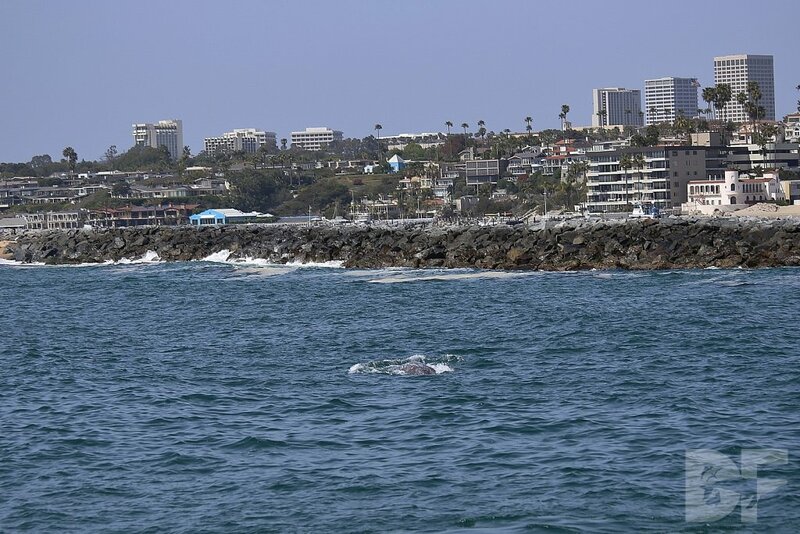 There are several great places in Laguna Beach to watch these whales depending on your personal preferences. The Wyland Gallery on Coast Hwy has a comfortable patio and a nearby coffee stand. Crescent Bay Point Park offers some of the best vantage points for photography, and the outdoor patio at the Hotel Laguna has a variety of cold beer (this can be very important). Coastal Bottlenose Dolphin can be seen very close to shore on Victoria Beach and if the tide is low it makes for some fantastic opportunities. 4. Birch Aquarium/Scripps Institute at La Jolla CA. 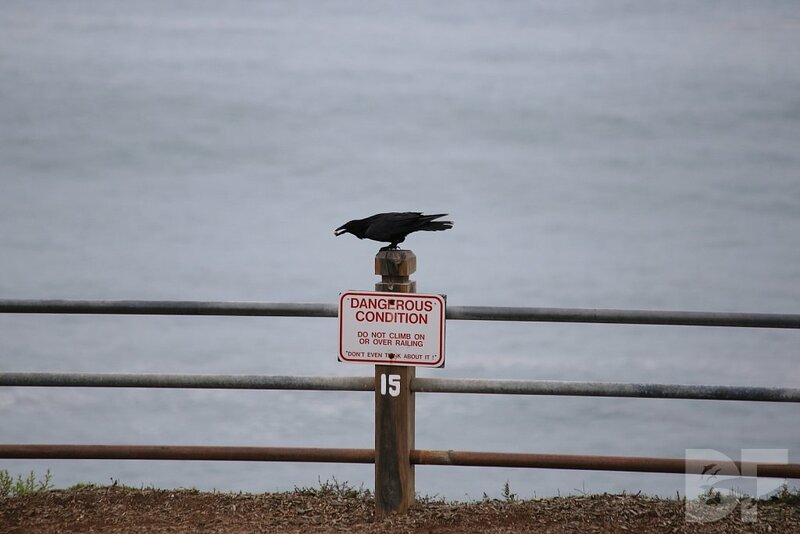 If you are a patron of the aquarium, the outdoor area with the tide pool overlooks a steep cliff, which enables onlookers to observe out to sea. As a bonus, the Birch Aquarium gives you the chance to enjoy an Aquarium in the San Diego area without the downside of cetacean captivity. 5. Balboa Pier, Newport Beach. Home to the original Ruby's Diner, Balboa Pier is a great place to watch whales as they come in close to the beach, sometimes even frequenting the world famous Wedge. Remember that although it is a real gift to see dolphins, whales, and other marine mammals so close to shore that it is illegal to feed, swim with, or otherwise alter their natural behaviors. Respectful observation is crucial! 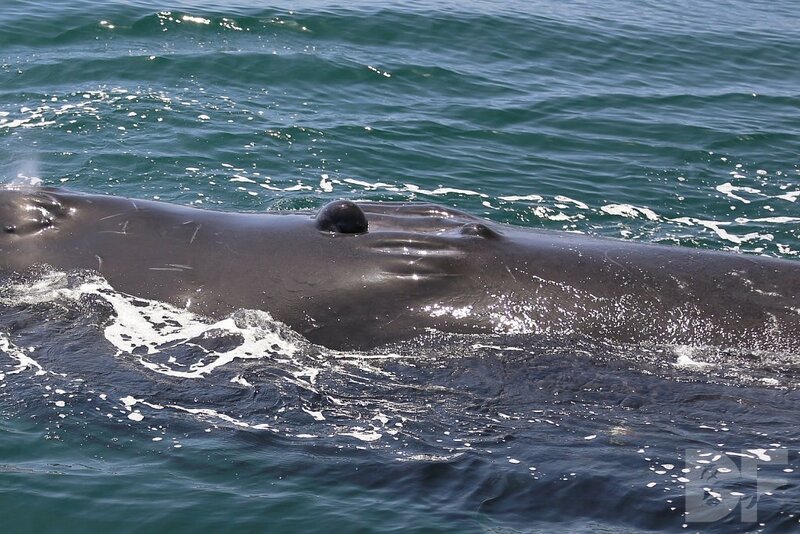 The Marine Education & Research Society (MERS) has an incredible page promoting outreach to recreational boaters and how they can be safe around whales. Safe boating around whales not only keeps the animals at ease and engaged in their natural behaviors, but you are also able to view them better as well. When whales are struck by boats, the damage to the animal can vary. Younger and more curious animals are more vulnerable as they have not accumulated the life experience yet to know the dangers. Along with the potential blunt force impact, the spinning of propeller blades is also a risk factor. This female Humpback Whale was photographed off of Santa Barbara in the spring of 2014. She has very distinct scars from a boat propeller. You can see just how close to the blowholes that the boat struck this animal, and had that happened the injury would have been far worse and perhaps fatal. Fortunately this animal not only survived, but at the time the photo was taken she was caring for a very young calf. The ocean is a three dimensional environment with animals moving freely throughout the water column. Despite the large amount of space, whales like to travel on vectors and they like to stick to a course as much as possible when travelling. Interrupting this course places stress on the animal. Whales with calves are even more at risk because, like human children, babies are not always easy to corral. Note that a baby gray whale, the most commonly seen whale calf in California, is fifteen feet long and weighs nearly a ton AT BIRTH. This makes safe boating even more important because responsible whale watchers, professional or private, should all have a very important goal: to be respectful observers and not impact natural behavior. Boating too fast around whales and getting in front of their chosen vector can have a stressful effect on the animal and in that scenario nobody wins. Keep in mind that being on a human powered vessel does not make one immune from following good guidelines and restrictions. Share with as many people as possible and let everyone know that there is a way to simultaneously watch whales safely AND get better views of these animals as they do what they do best. The Species Index found at http://www.dalefrink.com/pages/by-species/ has been updated to include links to some quick reference sheets from various sources including the American Cetacean Society, NOAA, and the US Fish and Wildlife Service. All content is created by the owners of each link's respective page and the links are provided for educational purposes.  Please feel free to contact me at dalefrink@gmail.com if any of the links are not functioning as they should or if there are any other site issues I should be aware of. On October 6th, 2014 a group of Sperm Whales numbering no less than forty, perhaps as many as fifty strong, were first spotted by Captain Larry Hartmann aboard the Ocean Explorer off of Laguna Beach, CA. I was lucky enough to be the photographer that day for Dolphin Safari. You can see updates on what I captured at my facebook page: https://www.facebook.com/dalefrink. Please bear with me over the next few days as I gradually improve watermarks on old images. I have purchased a plugin for the website that allows me to automatically add the new watermark to each picture, which means I need to go through and redo the old images, hopefully it will not take long. I apologize for any inconvenience. If you are interested in cetaceans, there is an exceptional documentary film called Whale Chasers that came out of New Zealand this year. Directors Tess Brosnan & Aaron Hay do an extraordinary job of connecting the whaling history of New Zealand to modern day whale conservation. A documentary produced in New Zealand about former-whalers turned citizen scientists, and the incredible story of the oceania humpbacks. Whale oil once made the world go round, and whaling goes back seven generations in many parts of New Zealand. This story looks at the the birth of shore-based whaling when the first Pakeha settled at Te Awaiti, Marlborough Sounds, and how nearly 200 years on, their descendants, actual former whalers, are helping to conserve whale species. Whale Chasers is a tale of pirates, conspiracy, life and death on the high seas, and rats placed in gumboots. And of course whales. This is one of the few films where we see the bloody history of the whaling history reconcile with modern sensibilities and aesthetics, as former whalers use their tracking abilities to help scientists locate Humpback Whales from shore. Be advised that there are depictions of whaling in the video, the footage used was used very appropriately, but those of you who have less stomach for those images should be prepared, I was shocked myself but they were not only used in the right context, but coupled with the ending scene of the film where one of the whaler's reflects on his time in the profession (I won't offer spoilers, but it was a very stirring part of the interview) it was the right thing to do. The interviews with the researchers not only inform us on what they are working towards with their studies of the Humpback Whales in New Zealand, but reflect on how attitudes regarding whales have changed in New Zealand over the last few decades. New Zealand and Australia, once proud whaling nations, are now two of the leading nations for cetacean conservation. I recommend this film to anyone who works to save whales, or to anyone who works in an educational capacity. If we are to continue to strive to end commercial whaling in its last vestiges, it is important to take a look back at the history of whaling. It is a stark reminder of how humanity has a responsibility to learn from its mistakes, and how we are capable of rectifying them. You can purchase a copy at the film's facebook page. You can also keep up to date with marine conservation issues. Check it out! Since the hype has died down I felt it best to remove this link from the front page of the website. The page will continue to be maintained as I work to fulfill my pledge to donate a portion of the proceeds from the video to the American Cetacean Society. Thank you to everyone who has supported me through these times. My career and life have been back on track for some time now but I will never forget the generosity I was graced with upon resuming my work. Safe boating around whales continues to be an important cause to me, especially as our local Blue Whales make their final appearances this Fall and the 2014-2015 Gray Whale season rapidly approaches. While the Blues are less vulnerable, they have been hungrily devouring large amounts of krill in the area and need to pack on every pound they can before heading South. 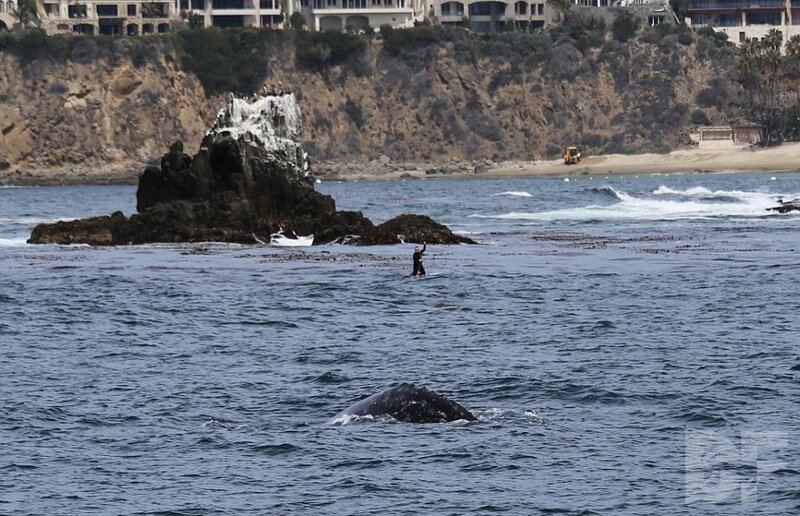 The Gray Whales will come into our shallow seas again in what could be a very warm winter, which will mean more recreational boat traffic. If you or anyone you know owns a boat and is considering enjoying recreational whale watching, please visit the NOAA website for tips on how to view whales safely. A more comfortable whale will also be much easier to watch, so it is literally a win-win situation! Dale Frink Photography has some killer new business cards made out of recycled paper and wildflower seeds. Plant them in a little dirt, and add water and sunlight to literally "grow" this business! But don't forget to get the contact information first, hah! As for the photos in the gallery and the online store I apologize for the need to use watermarks, unfortunately image theft runs rampant and in order to protect the good pictures I take I have to do it, I can assure you that prints purchased from the store won't have the watermark, and that I will continue to add smaller watermarks to the galleries on the main page so that the image can be protected without being too egregious. Thank you to both of the people who look at this section of the site for your support and understanding. As a whale watcher, be it as an experienced passenger or as a crew member, you get the question frequently from people as to what type of machine is used to detect the wild animals. It's an innocent enough question, but one that can reveal the expectations of the person posing the question once they learn that whale watching tours do not generally use any sort of special machine to track and find whales. Most people are pretty accepting of the truth (that there's nothing better than a good pair of binoculars) but some people instantly become nervous and/or shocked when they find out that they are out there on the ocean with no assurance of seeing anything! "If you wanted to buy a sonar that could track the location of animals, your first obstacle is an approximately $250,000 price tag at minimum. If you have that kind of cash available and want to proceed you then get a nice call from the FBI wondering why you are interested in anti-submarine warfare. After all that, if you are still interested and can pass a very thorough background check, you run into the problem that high powered sonars will at the very least annoy dolphins and whales and at worst, injure or kill them." Obviously you have to do your best to avoid sounding rude, because not everyone knows of the detrimental effects high powered sonar has on these animals. But it gets the message across very effectively. I'll also field questions about fish-finders and the truth is that those machines will only tell you what was under your boat a second or two ago and aren't useful for tracking animals unless they are staying right directly under the boat. There are a couple of things that a boat can do with higher technology. If you know that a whale is following a certain ocean contour a depth sounder would help you track that animal's movements, and a fish finder could help you locate whatever it is the animals are feeding on. If you know what you are exactly listening for, and you have animals that are singing, a hydrophone (underwater microphone) could be useful, but it's limited. The truth however is that a good pair of binoculars and some training on what to look for are your best assets. Maybe a tripod mounted sighting scope if you are spotting from shore but I wouldn't recommend those on a boat. Just as important, if not more important, is training and experience. As you gain more experience, you will learn to recognize species of whales by the shape of their spout, their dive profile, and coloration. You may even find that you don't use binoculars much because of how they affect your peripheral vision, though they are an important tool. Visibility is obviously a factor, but you are relying on other senses as well. I cannot stress enough how important it is to be able to hear your surroundings, especially in fog, because the powerful spout of a whale can sometimes be enough to track animals. The spout, in the right conditions, will also reveal the scent of the whale's breath and reveal even more clues. Blue Whales, which only eat Krill, have a very distinctive breath that I can only describe as a plate of peeled shrimp that has been lying out in the sun for a few hours. Fish eating whales, such as the Minke Whale, will give off a smell similar to that of whatever fish they have been eating, especially if its anchovies. Yes, it is possible for a human being to "sniff out" a whale in the fog! There is one thing that I haven't yet mentioned, and that is patience. The reason many people on whale watching trips ask about sonar and other equipment is because of excitement and anticipation. It is hard to hear that, even on a beautiful day with no wind, there are no animals in sight. I think the key is to channel the worrisome energy of impatience and focus it instead on searching, it eases the nerves and makes the overall search more productive. Most boats will only have a captain and one or two crew, which means every additional pair of eyes is an asset regardless of experience. Passengers play a key role because even an animal jumping out of the water can be missed if nobody is looking that direction. The important thing to remember is that the ocean is constantly changing in ways we cannot always readily perceive. Whale watching is not simply about seeing the dolphins and whales, but also about seeing all the animals in the ecosystem, the weather, and the conditions of the sea. Everything comes together to make each encounter as unique as it can possibly be. I personally believe that nature gives greater rewards to those who do not let expectations overshadow the experience.